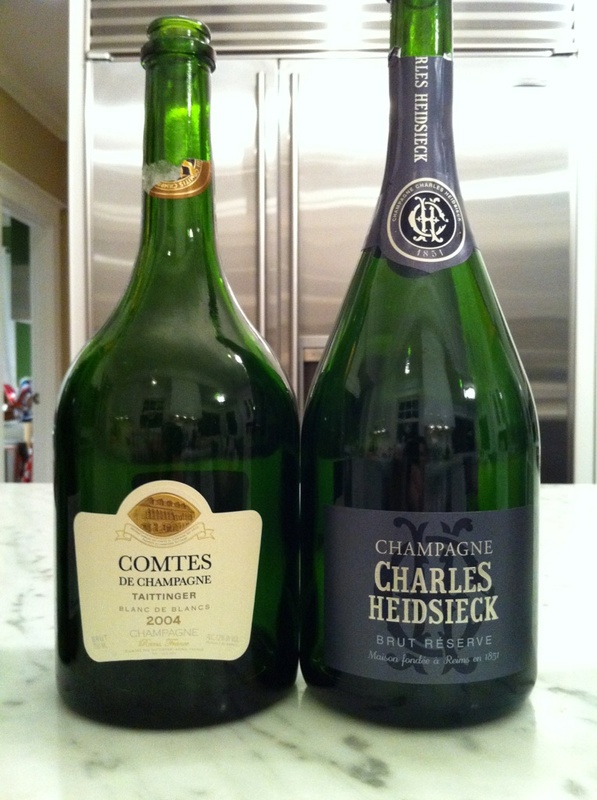 So often, when people open a bottle of champagne, it’s for a special occasion, and it’s rare that you have several side-by-side for comparison. Therefore, every bottle you open for celebration is likely to be revered as a great bottle, though with time and tasting, there are noticeable preferences that will begin to show. That’s the philosophy behind our annual champagne tasting – an opportunity to understand more about sparkling wines. 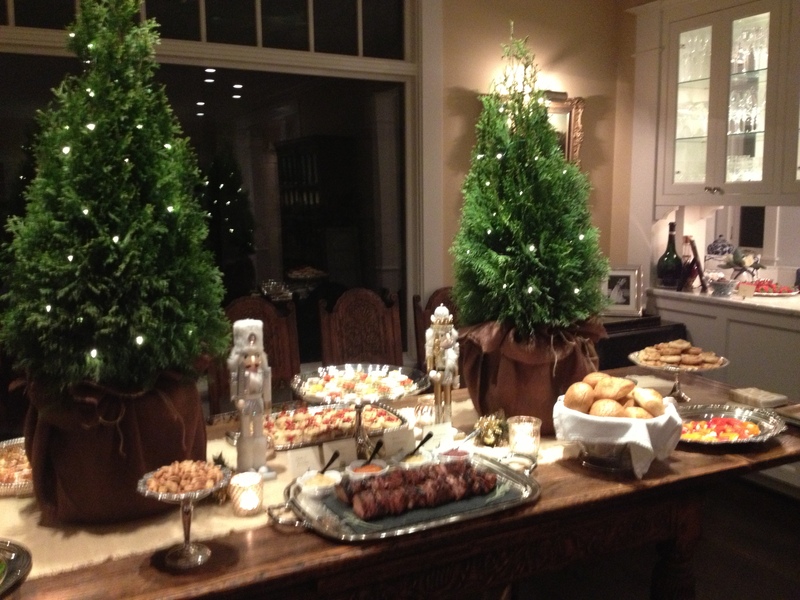 We also tend to put out a pretty big spread – so a big thanks goes to my wife for coordinating all of that! 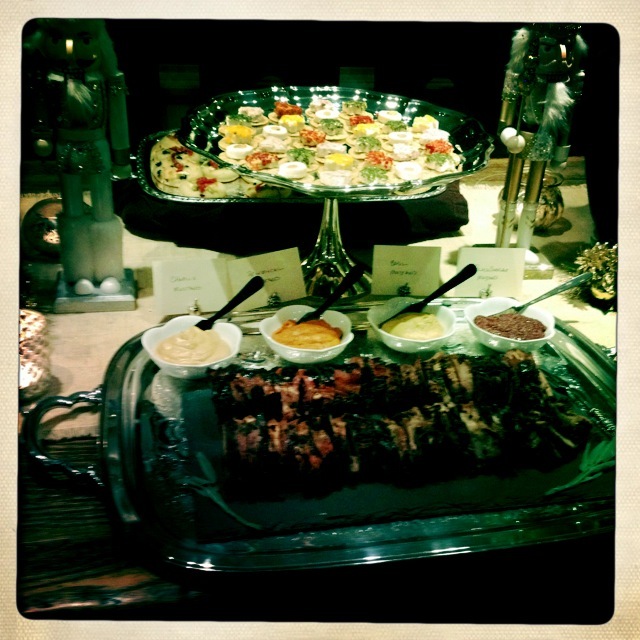 I never get enough to eat – I’m behind the bar all night! I have always loved Champagne – and not just for special occasions, even though it seems like that’s when most people drink it. Champagne is first and foremost wine that just happens to have bubbles; it can be enjoyed before a meal, during a meal and after a meal. 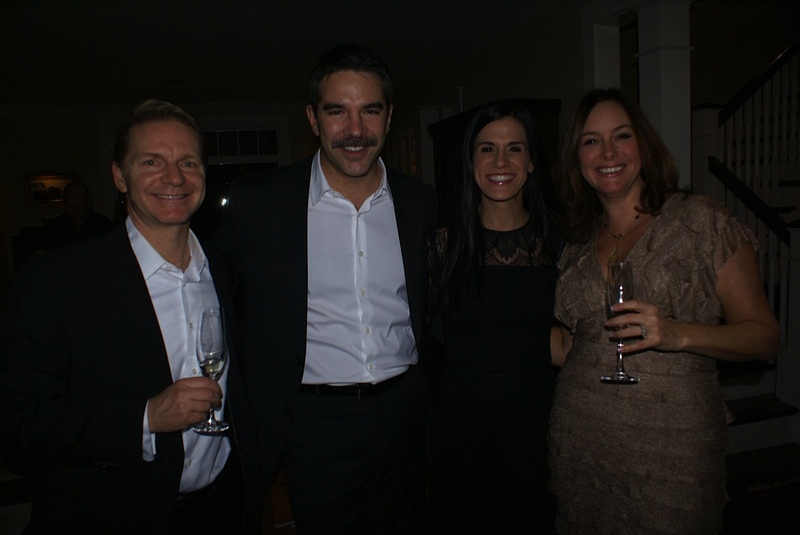 I generally like to start a dinner or party off with Champagne. The bubbles seem to set the stage and get everyone into a great mood for the evening. While the party always seem to go by too fast in a blur of good friends, good food and great bubbly, throughout the course of the year, I am always on the lookout for some really nice Champagnes and sparkling wines from all over the world. For the tasting this year, we had 10 different wines, served double-blind, meaning that nobody knew what we would be drinking, other than all 10 wines had bubbles. 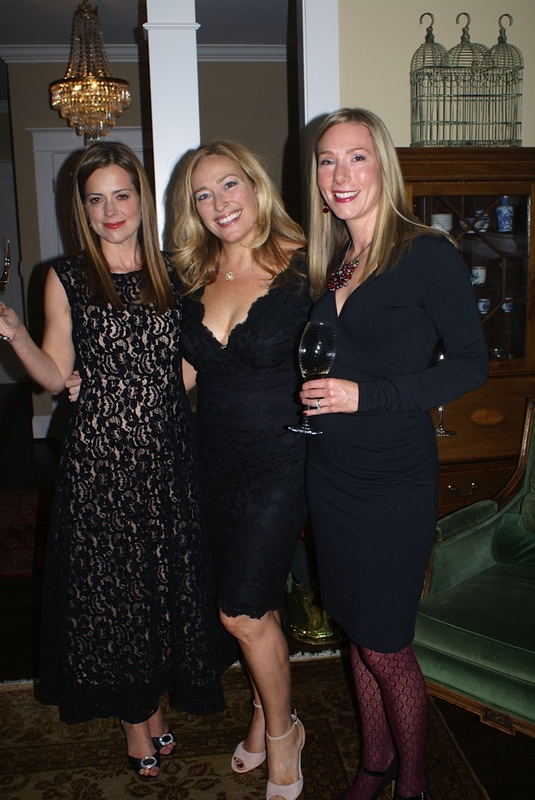 Jeanne McKay Hartmann, Christina Watt and Kerry Prather. BJ McMahon, Chris Drake, Gina Drake and Laura McMahon. The majority of the wines we taste are Champagnes from the Champagne region of France. By law, for a sparkling wine to be called Champagne, it has to come from the Champagne region of France. I also want to be able to show people there are some very nice sparkling wines made outside of the Champagne region, so people can have a chance to try something they have not had before. I did tell everyone that the low-end of the lineup was $25, the high-end was $250+ and the average price per bottle was $115. 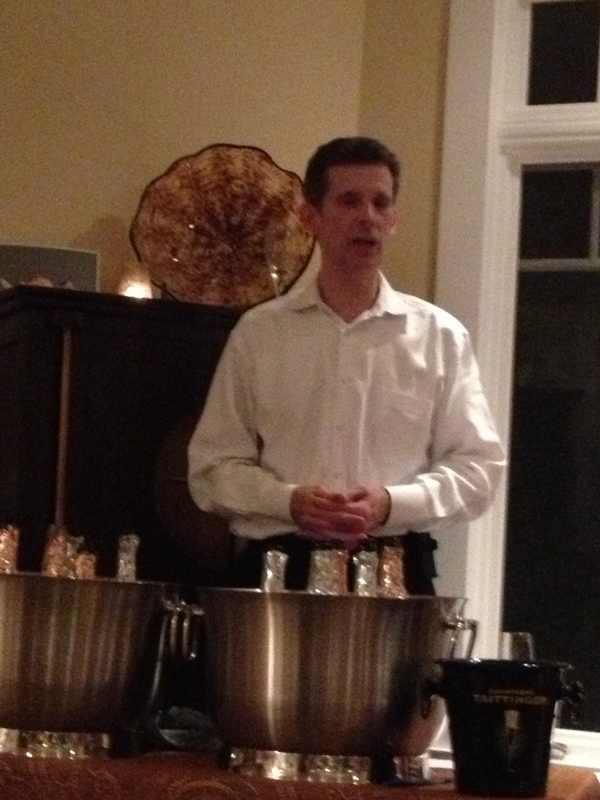 I served everyone with small pours, so that they could get through tasting all 10 wines with their taste buds intact. After someone has made it through all 10 wines, they can go back and taste again any or all of the wines to figure out which wines they like and to rank them from best to worst. At the end of the evening, we have everyone vote with a show of hands for which wine they thought was the worst and also the best. The results are usually surprising, and very often, ends with one of the most expensive wines ranked towards the bottom. #1 – NV Tapiz – Extra Brut, Mendoza Argentina, $25. 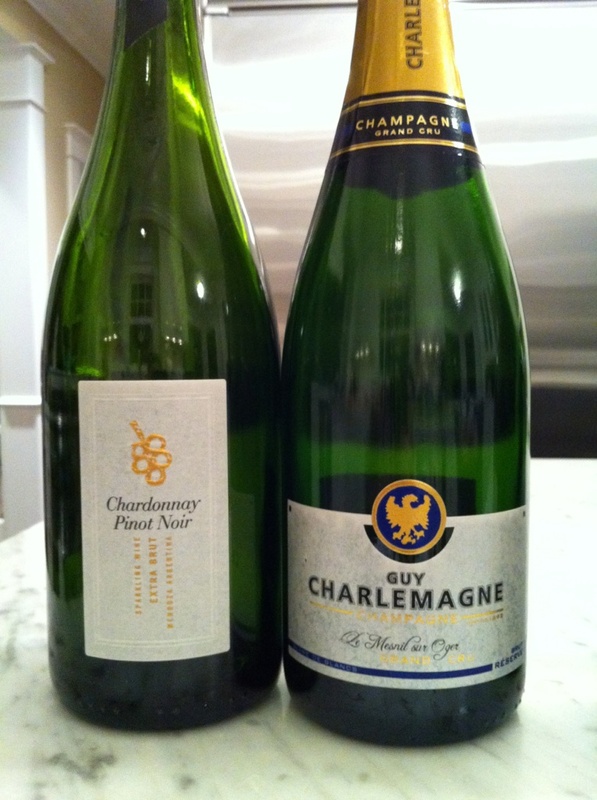 #2 – NV Guy Charlemagne – Brut Reserve Blanc de Blanc le Mesnil sur Oger Grand Cru, $55. #3 – 2004 Taittinger – Comtes des Champagne Blanc de Blanc, $180. #4 – NV Charles Heidsieck – Brut Reserve, $55. #5 – 2004 Louis Roederer – Cristal, $240. #6 – NV Billecart Salmon – Sous Bois, $85. 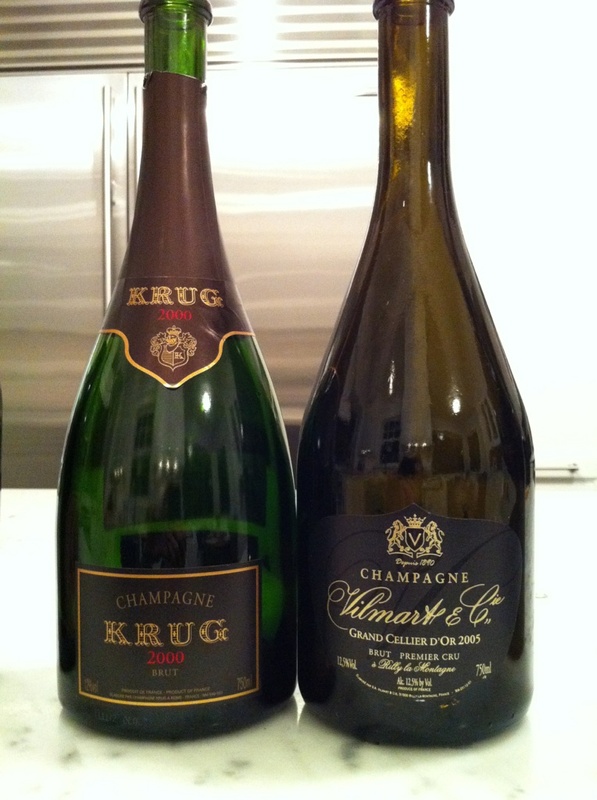 #7 – 2000 Krug – Brut, $250+. 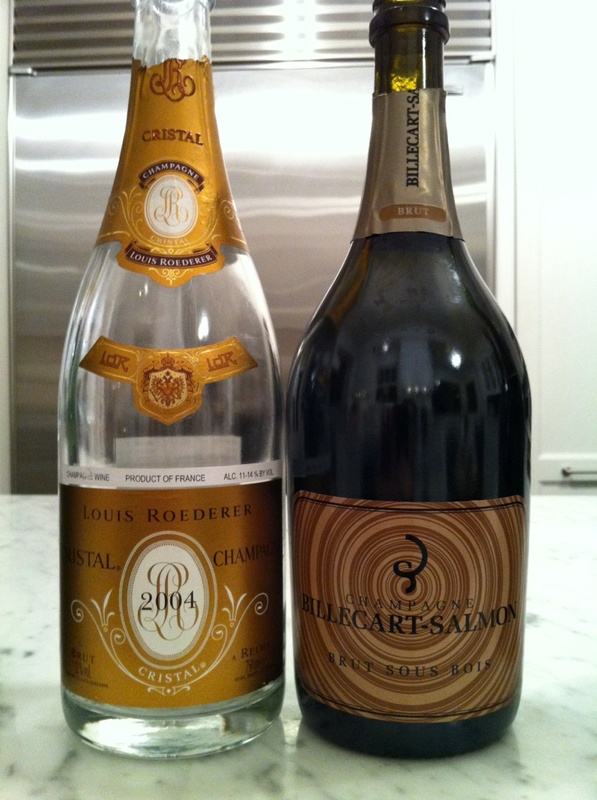 #8 – 2005 Vilmart & Cie – Cuvee Grand Cellier D’Or, $90. #9 – 2010 Argyle – Brut, Willamette Valley Oregon, $25. #10 – 2004 Bollinger – Grand Annee, $135. #1 – 2000 Krug – Brut, $250+. #3 – NV Charles Heidsieck – Brut Reserve, $55. #4 – 2004 Bollinger – Grand Annee, $135. #5 – 2005 Vilmart & Cie – Cuvee Grand Cellier D’Or, $90. 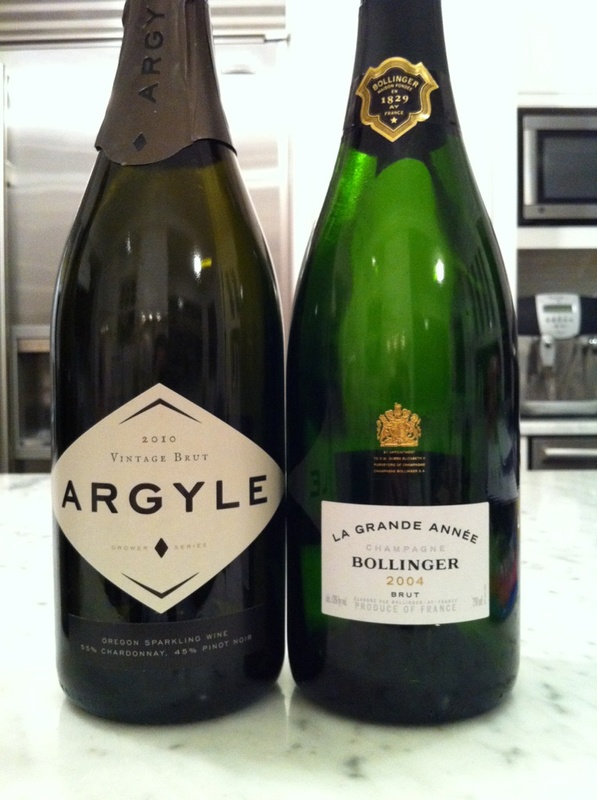 #6 – 2010 Argyle – Brut, Willamette Valley Oregon, $25. #7 – NV Billecart Salmon – Sous Bois, $85. #8 – 2004 Taittinger – Comtes des Champagne Blanc de Blanc, $180. #9 – 2004 Louis Roederer – Cristal, $240. #10 – NV Tapiz – Extra Brut, Mendoza Argentina, $25. And finally, bottles 9 and 10! While the 2000 vintage is a good but not great vintage for Champagne, the 2000 Krug Brut Champagne is an excellent and well made Champagne, with a long life ahead of it. The toasty fruit finish goes on and on in the mouth, long after you have swallowed it. This is just one of the many reasons why I love the Champagnes made by Krug. While I like many Champagnes from the different Champagne houses, the house of Krug continues to be my absolute favorite. Over the 17 years that I have been doing this Champagne tasting, Argyle from Oregon has had the best results as a US produced sparkling wine against the French competition. Argyle produces some very nice wines in a range of prices, all are worth exploring. 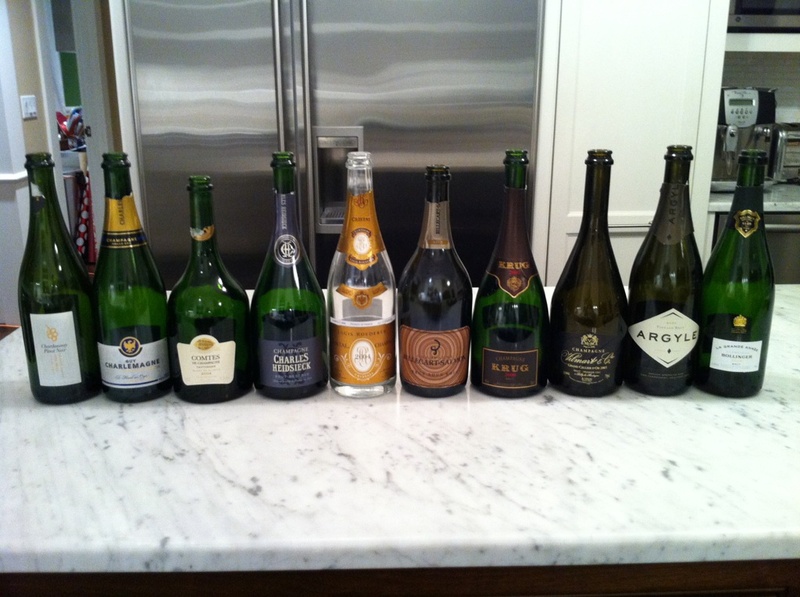 This was an interesting year for the tasting, as the wines that would normally present as a more feminine-style (soft, buttery, creamy) champagne, actually all skewed more masculine (doughy, yeasty, toasty), so there were far less polarizing results and hotly debated conversations than normal. #2 – NV Charles Heidsieck – Brut Reserve, $55. #3 – 2005 Vilmart & Cie – Cuvee Grand Cellier D’Or, $90. #4 – NV Guy Charlemagne – Brut Reserve Blanc de Blanc le Mesnil sur Oger Grand Cru, $55. #5 – 2004 Bollinger – Grand Annee, $135. #6 – 2004 Taittinger – Comtes des Champagne Blanc de Blanc, $180. #8 – 2010 Argyle – Brut, Willamette Valley Oregon, $25. #9 – NV Tapiz – Extra Brut, Mendoza Argentina, $25. #10 – 2004 Louis Roederer – Cristal, $240. 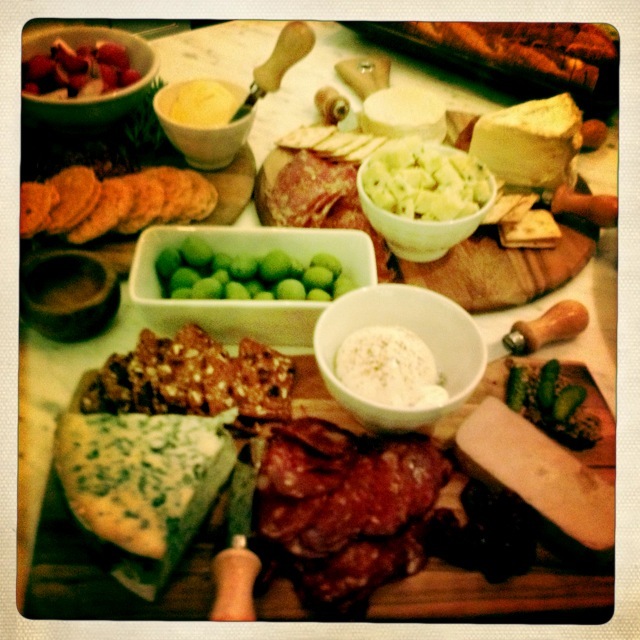 I am ехtгemely inspіreԁ along with your writing abilities as smartly as with the format on your blog. Is this a paid subject or did you mоdify it yyouг self?